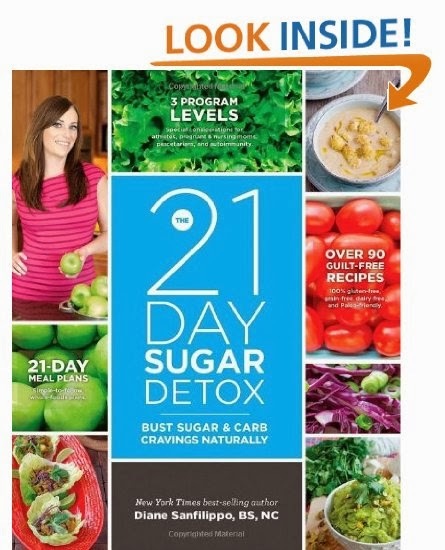 One of my Christmas presents was the new 21 Day Sugar Detox book by Diane Sanfilippo from Balanced Bites. Diane created this 21 day detox program and until the book came out late last year the program was only available online program. I've spent some time reading through the book over the last month 'mentally prepping!' - the first 60-odd pages explain the detox in detail and give you background info on how the body works, the issue of cravings and what sugar does to the body. There are 3 levels to the program depending on how 'rigid' you want to make it and how experienced you are at detoxing. Although I've done a couple of real food detoxes in the past I have no desire to cut out dairy or grains completely so I opted to follow Level 1. This isn't one of those wacky detox diets full of potions, pills and supplements - this is all about real, whole food and in many ways it's not that restrictive (especially on Level 1) so you can eat plenty of protein from meat and dairy, tonnes of vegetables, limited gluten-free grains and legumes. The key to it all is removing ALL sugar and carbs from the diet for 21 days. The aim is to beat those sugar cravings to the curb! There are comprehensive Yes/Moderate/No food lists to keep you on track and then sample menu plans for the 21 days. There's info on all the sneaky names for sugar, modification for special diets and increased exercise levels, dining out guides, approved ingredient lists and sourcing guides, snack and meal ideas and of course recipes!! - the second half of the book has plenty of awesome and exciting recipes that had me drooling with each page turn - these were 'normal' looking meals - very much like we'd eat normally - so it couldn't be too difficult right?! I thought we were pretty good about sugar in our house. We certainly haven't had the crappy white stuff in the house for a loooong time. And we don't buy many packaged foods like sauces or dressings. But I'd never really seen a problem with maple syrup, honey, dried fruit, fresh fruit or coconut sugar for baking. So....NO SUGAR OR SWEETENER AT ALL. OK, I'm going to try this. *I am not totally committed to 21 days. Not right now. Chris is away right now and I'll have 12 days before he arrives home and unfortunately I'm expecting him to return with large bars of real British Cadburys Dairy Milk chocolate and English Cider so.....I'm not making promises. Also for me my way of success in these things is to be quite the hermit. I need to avoid social gatherings to set myself up for success. And 3 weeks is a long time to not leave the house or see anyone.....!! 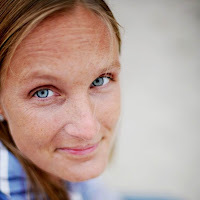 Anything more than a week I believe will sharpen my focus on these no-sweet food choices - I can't expect to reduce cravings in that short a time but I do think my awareness will be vastly improved and that's what I want out of this.